What a way to start wrapping up the month of May! Three features to talk about that we're excited to deliver as they've each been requested by several customers. Data integrators, rejoice! We've combined several views into a single interface so that you can seamlessly track your data as it progresses through the Ambition processing engine. Curious how a metric derived it's value? With a click of your mouse you can step back through each phase of processing, even to the file upload itself. This will make creating, modifying, and troubleshooting your organization's integrations even easier which we know is important given how bandwidth-constrained your IT department is. 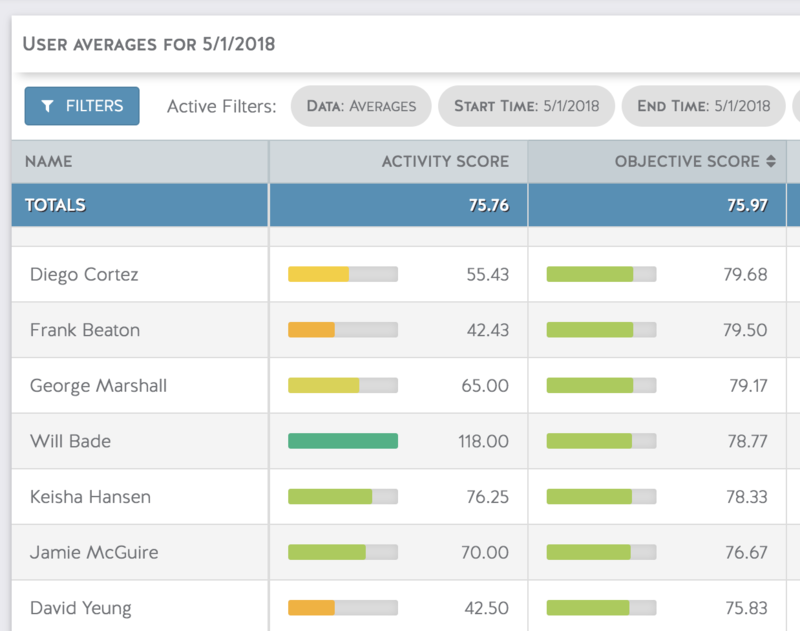 Progress bars are now available for Activity and Objective Scores and are visible when viewing Totals for a specific date or Averages across any given range. We're looking forward to adding more options here soon! You have inside jokes you want on your TV and we get it, we have a couple ourselves. Good news today, we can finally accommodate and we're sorry for the wait! 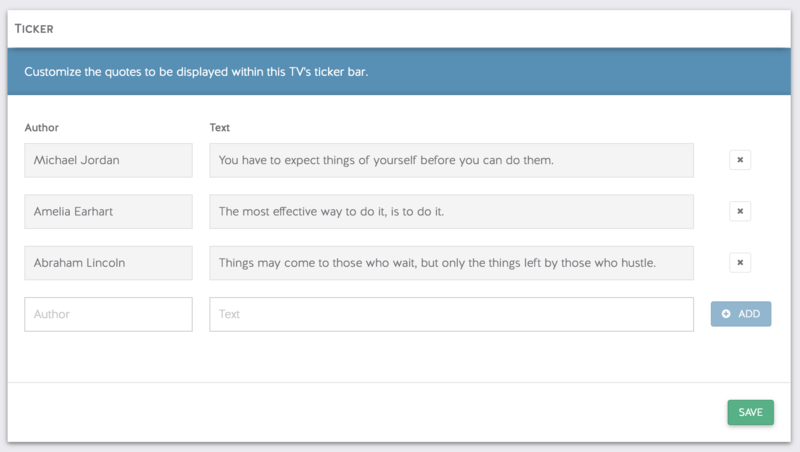 Messages can be set per-TV with each new TV defaulting to the three you see below.